Seibertron.com Energon Pub Forums • New Henkei figures and Cassettes reissues! New Henkei figures and Cassettes reissues! And new Transformers G1 cassettes reissues! These will be a big hit for those that still need some G1 cassettes. To see the pre-orders and images just click here. Stay tuned to seibertron.com for all your Transformers related news! Re: New Henkei figures and Cassets reissues! Dangit! You beat me to it! Anyways. I already have 2 Ravages and a Laserbeak... But I really want Eject and Rewind. WHy TT! Why not Slugfest and Overkill instead of Ravage and Laserbeak? Re: New Henkei figures and Cassettes reissues! Well I got those cassettes sealed with the Commemorative Soundwave, so I will most like need to preorder them just to have them outside the box. I also wouldn't mind Blaster's cassettes either. Wish they reissued Ratbat, Frenzy and Rumble though. Roadbuster wrote: Dangit! You beat me to it! 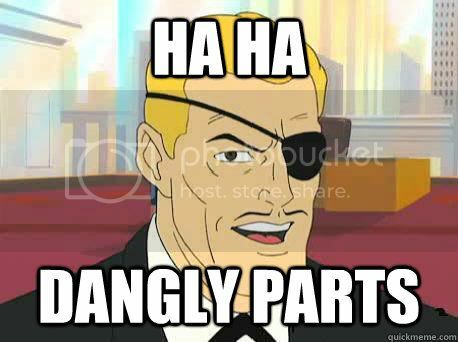 And to think I had a 5 min interruption.... Dead Metal highe speed news - when ever I feel like it! And on your second one, yea I already have those I want them combiners. Cassettes are a must own. Motto: ""Death is the only way out."" Toy reviews on YouTube? Don't mind if I do! I build model kits on Twitch, too! And I'm quite surprised with that move, using Legends figures for the Mini-Bots. Wait, that means Bumblebee has two entries in the Henkei line! What are the odds? Wow, I'll definitely buy the casettes! Will they be henkeis or encores? Psychout wrote: Never, ever take the internet seriously, especially not when its on a website dedicated to giant cartoon robots from outer space. Motto: "Be brief of speech and long on action." Chaoslock wrote: Wow, I'll definitely buy the casettes! Encore, I assume, because it was said that these are reissues. Pass, only because I was able to pick up the TRU reissue Soundwave released during Classics 1.0 (which had Laserbeak and Ravage). As for the minibots... Might pick up Cosmos if I see it, but with my interest in Legends in general being what it is, it'd be better to pass on the Henkei set. My vote for the HOF goes to my favorite Transformer, Kup, to the Headmasters (who still need new figures that aren't just the characters without their master components) and to seibertron.com for for being the ultimate TF resource. Arg! They got my hopes up. Why reissue those by themselves? 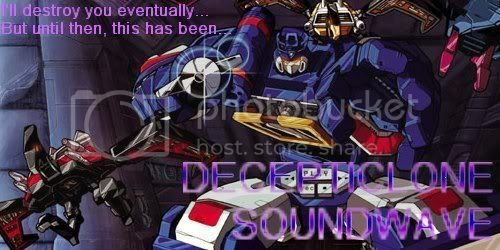 People who'ld buy cassettes by themselves already own Soundwave and/or Blaster. In any case, they probably already have these. Why not reissue some rarer cassettes? This is great news, I've wanted a Rewind/Eject pairing for a while now. Must mean Blaster's on the horizon, we can hope. While I understand some people may be hesitant about Ravage and Laserbeak...come on folks, the dino cassettes? Let's get Rumble, Frenzy, Buzzsaw and Ratbat back out there first. The only cassette that I want that is Rewind, but I also need Steeljaw. I lost these 2. I have Eject and Ramhorn. I got Ravage and Rumble. I could use a Frenzy, Ratbat, Slugfest, Overkill. I threw these 4 out at some point in time, dunno why. Don't want Squawkbox or Slamdance, got those already. Even the rare cassettes would be nice. Warpath is on the spy team? A tank? As a spy? Really? I guess he is a mini-tank. I like the cassette reissues. Even more motivation to get that Encore Soundwave. Excellent. This is my chance to finally obtain Rewind & Eject. I already have an original Ravage & s re-issue Laserbeak, so I don't need them. Finally I'll get some Cassetticons for Blaster! Don't supppose this means we'll get repaints of the Cobalt Sentry duo whose names escape me at the moment. Eject and Rewind sound promising. I am curious where the name "Adams" came from. Was there a rocket called Adams? Wait...Beachcomber is on the attack team and Warpath is on the spy team? Are the Autobots TRYING to fail? Brakethrough wrote: Wait...Beachcomber is on the attack team and Warpath is on the spy team? Are the Autobots TRYING to fail? These packs are fantastic. I can't wait. Only one thing though, why Laserbeak in the set? They should include Ratbat. Laserbeak is already included with the re-issue of Soundwave. It's pretty cool that they're reissuing cassettes but they're all molds that have been released relatively recently - Flipside shares a mold with Eject/Rewind, and was included with e-hobby Twincast. 4,380 pages were recently viewed by 1,056 unique visitors. This page was viewed 1 times on Saturday, April 20th 2019 6:18pm CDT. © 2019 Seibertron, Inc. DBA Seibertron.com. All Rights Reserved. Established June 2000. Seibertron.com is owned by Ryan Yzquierdo.